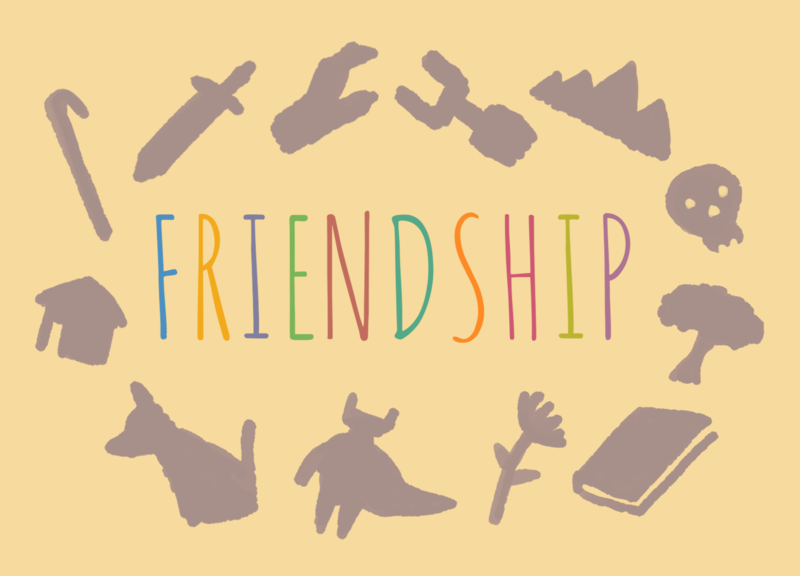 Make a game based on the theme friendship. Take a best friend, a few friends, a random friend from the street, or no friends at all and have fun. You can use any software and asset you want. Save your stupid friends from trouble in a magical world.